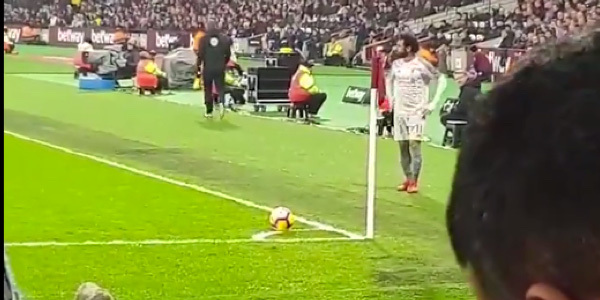 Disgraceful footage has emerged of a West Ham fan racially abusing Liverpool striker Mohamed Salah. Footage has emerged online of a West Ham fan shouting racist abuse towards Mohammed Salah during Liverpool’s recent Premier League clash against the Hammers. The incident happened when the Egyptian international went to take a corner-kick when you can quite clearly hear a fan shouting “Salah you f**king monkey” at him.